Prohibition is the legal ban on the manufacture and sale of alcohol. During the 1700s, England and its colonies made several efforts to stop the use of distilled spirits. By the 1820s, people in the U.S. were drinking 7 gallons of alcohol per person every year, and many religious and political leaders soon saw drunkenness as a national curse. Many Americans saw a close relationship between drunkenness and an increase in crime, poverty, and violence. 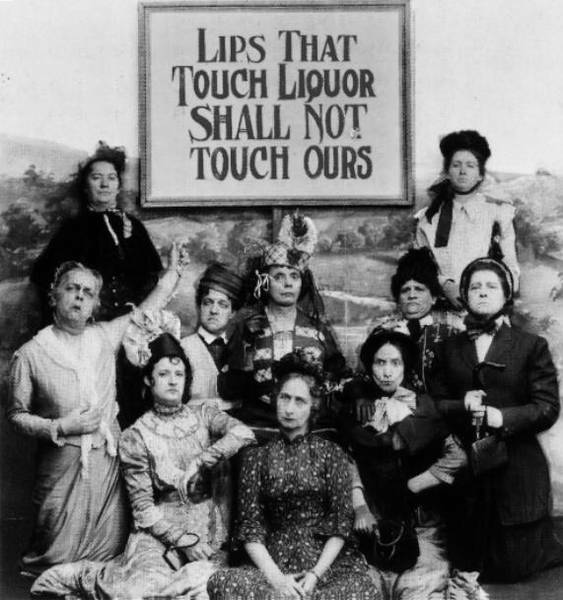 This resulted in first state prohibition law that banned the manufacturing and selling of alcohol (outside of medicinal and mechanical purposes, of course). 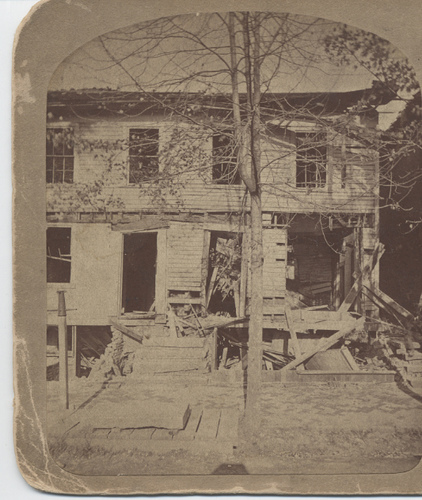 This was passed in Maine in 1851. By 1855, 13 of the country's 31 states had similar laws. 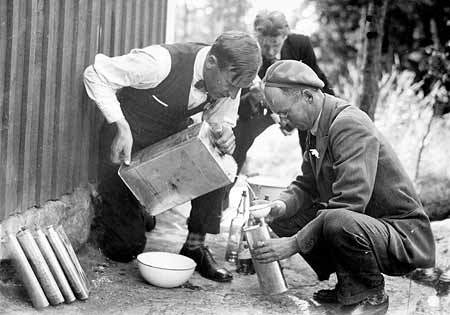 Prohibition appeared to be working as the annual consumption rate had fallen from 7 to 2 gallons per person. Like any war does, however, the Civil War took attention away from Prohibition. Many of the early state laws were modified, repealed, or ignored. The population increased rapidly after the Civil War, and by 1870 there were 100,000 saloons in the country (about 1 for every 400 people). With a growing number of places to wet your whistle, the saloons became more and more competitive for business. As a result, many of them permitted gambling, prostitution, sales to minors, public drunkenness, and violence. 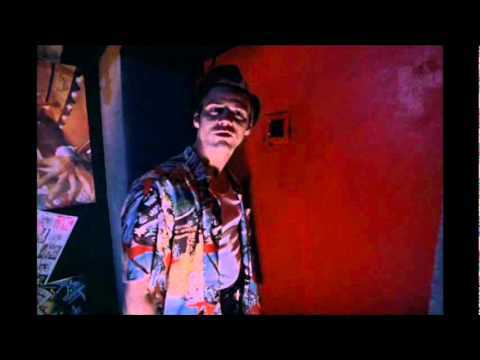 Soon, every saloon became like a generic '80s movie about college spring break. In reaction to this, the "Women's War" broke out across the U.S. in 1873. Thousands of women marched from church meetings to saloons, where with prayer and song they demanded that saloonkeepers give up their businesses. By 1900, millions of men and women were beginning to share this hostility toward the saloon and saw it as the most dangerous threat to the family. The Anti-Saloon League of America (ASL), organized in Westerville, Ohio, effectively assembled people into action. 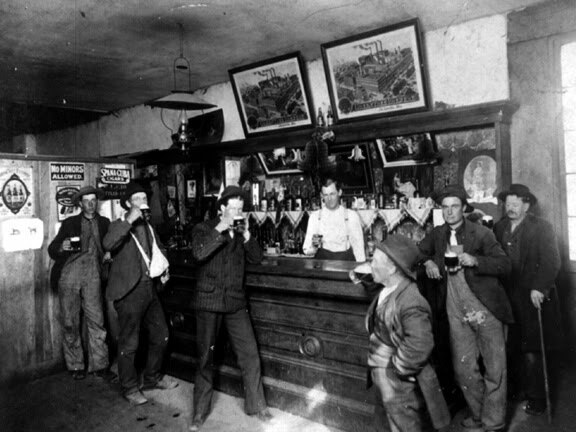 By 1916, no less than 23 of the 48 states had adopted anti-saloon laws, which in those states closed the saloons and prohibited the manufacture of any alcoholic beverages. Even more significant was the fact that Congress now had more "dry" members (for Prohibition) than "wet" members (against Prohibition). 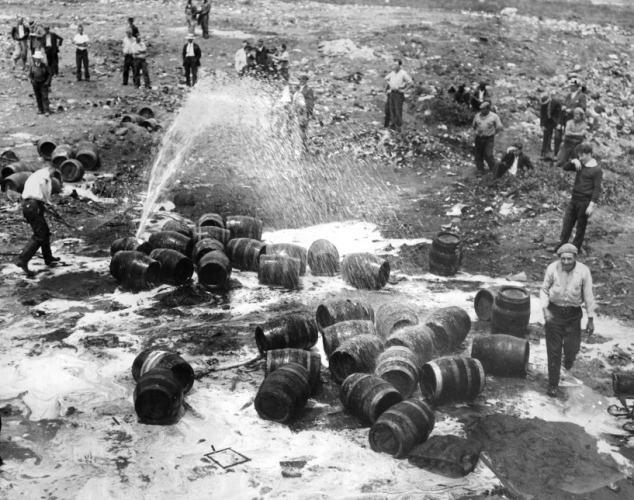 By the end of 1917, Congress submitted to the states the 18th Amendment, which prohibited "the manufacture, sale, or transportation of intoxicating liquors". 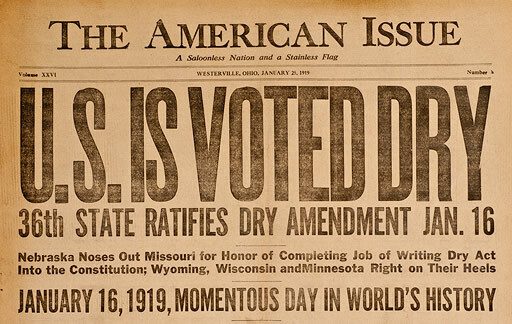 By January 1919, ratification was complete; prohibition would begin in January 1920. 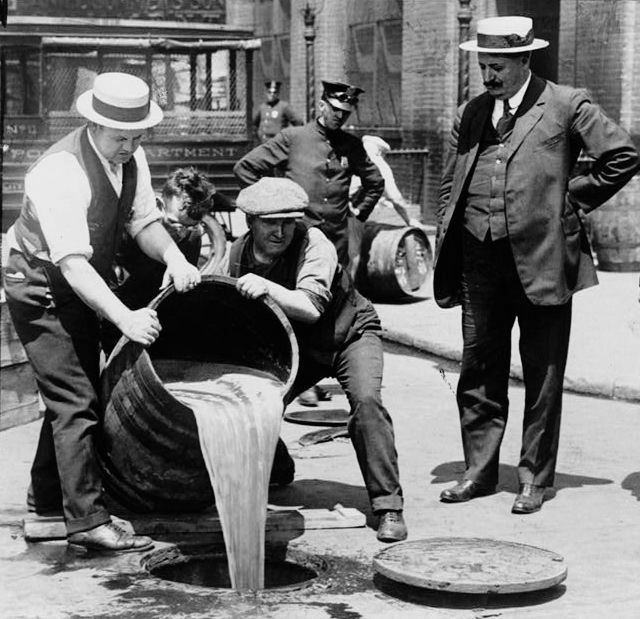 To enforce the 18th Amendment, Congress passed the National Prohibition Act, usually called the Volstead Act because Congressman Andrew Volstead of Minnesota introduced it in 1919. This law defined the prohibited "intoxicating liquors". Because Congress and state legislatures, however, were reluctant to give enough money for enforcement, Prohibition struggled. Almost as soon as Prohibition started, America woke up from its national hangover and realized what it had done. 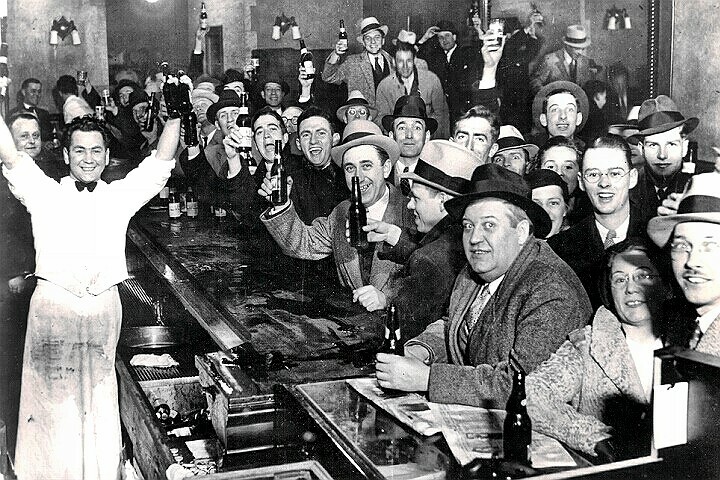 As a result, Prohibition quickly found itself under attack during the "Roaring" Twenties. The police were accused of illegal searches, seizures, and senseless shootings. 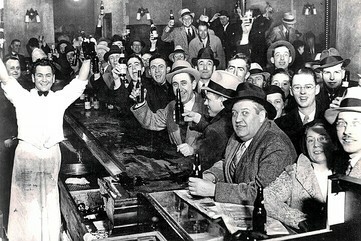 It was argued that Prohibition was causing people to drink more rather than less; that it promoted disrespect for the law; that it generated a wave of organized criminal activity, during which the bootlegger (one who sold liquor illegally), the "speakeasy" (an illegal saloon), and the gangster became popular institutions; and that the profits available to criminals from illegal alcohol corrupted almost every level of government. Historians, however, believe that in the beginning of the era, and at least until the middle of the decade, most Americans respected the law. 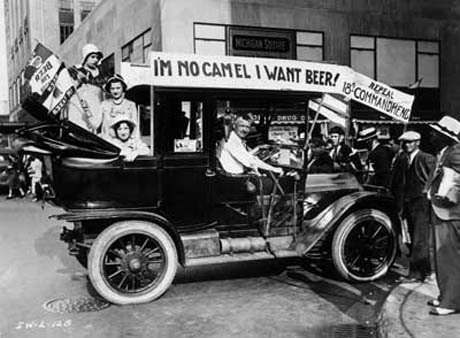 Statistics show that Prohibition reduced consumption from 2.6 gallons in 1920 to 0.97 gallons by 1934. 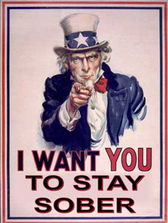 In the U.S., a major shift in public opinion occurred during the early years of the Great Depression, when opponents argued that Prohibition deprived people of jobs and governments of revenue. Congress submitted the 21st Amendment (which would repeal the 18th) to the states in February 1933 – by December of the same year it was ratified. The 21st Amendment gave the states full power to pass their own laws regarding the sale of liquor within their boundaries. A number of state, county, and municipal governments continued Prohibition (Westerville being one of them). By 1966, no statewide Prohibition existed. Determining the "legal" drinking age was also left up to the states. 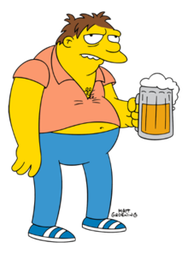 Following Prohibition, the legal age in most states was 21 before it dropped to 18 during the 1970s (it was argued, "I can fight for my country and legally get married, so why can't I have a beer?"). By 1983, the age began to rise, eventually settling back at 21. Following repeal, the consumption rate of alcohol in the country rose from 1.2 gallons in 1935 to 2.7 gallons in 1975. Today, the average American consumes 2.48 gallons of alcohol a year, which puts us above the 1.62 gallons per person per year average for the world... but far below the 3.96 gallons consumed per person per year in England and 7.13 gallons consumed per person per year in Russia. You betcha, America! Granted, it's 1933... and you're in the midst of the worst economic collapse in history... but yea... have another. You deserve it. Drunkenness is considered an evil in most of the world's major religions, and Islam has not allowed even the moderate use of fermented drink for centuries. In the West, however, efforts to ban the consumption of alcohol have been a fairly recent phenomenon. Westerville... and each time the townspeople blew up his establishment. League printed so many leaflets in support of temperance and prohibition (over 40 tons of mail per month) that Westerville, by now known as "The Dry Capital of the World", was the smallest town in the nation to have a first class post office. 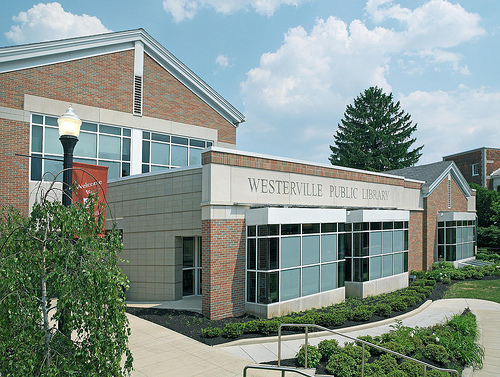 The League's Westerville headquarters was given to the Westerville Public Library in 1973 and now serves as a museum attached to the library. 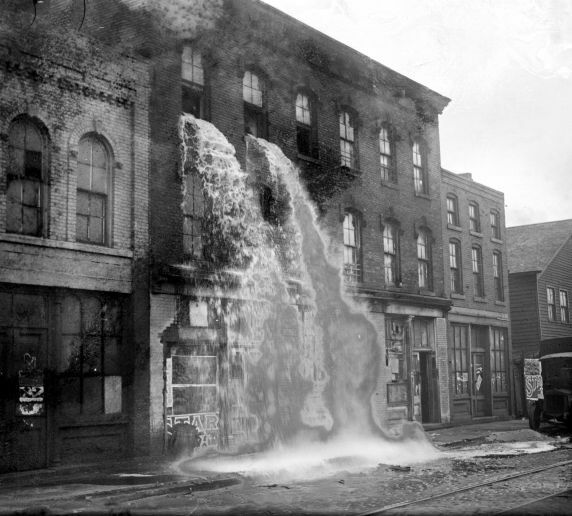 After Prohibition ended, Westerville remained dry for most of the 20th Century. 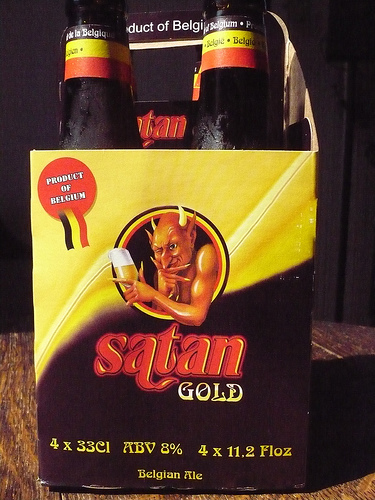 Now, thanks to voters, you can buy booze just about anywhere. Way to keep the tradition alive, Westerville! 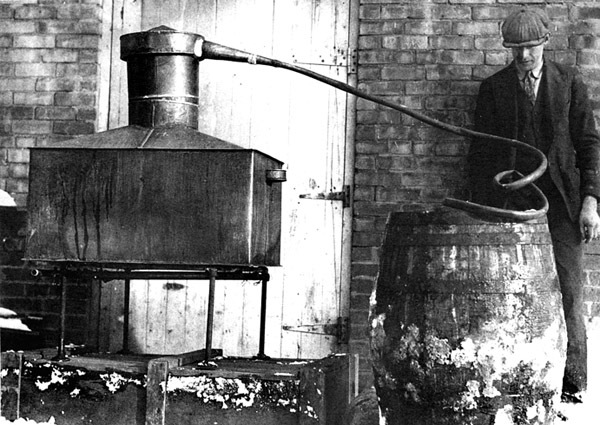 The U.S. wasn't the only country to give Prohibition a try. 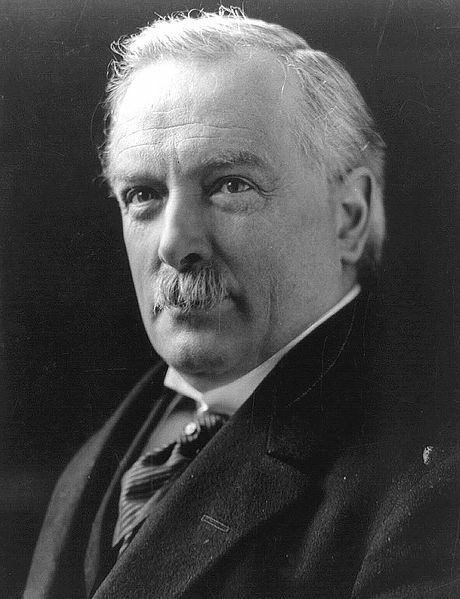 While rallying English workers to increase their productivity in support of the war effort during World War I, Prime Minister David Lloyd George stated that "we are fighting Germany, Austria, and drink; and, as far as I can see, the greatest of these three deadly foes is drink." Scotland, the citizens of towns and villages had the right (local option) to vote out drinking establishments after 1920. 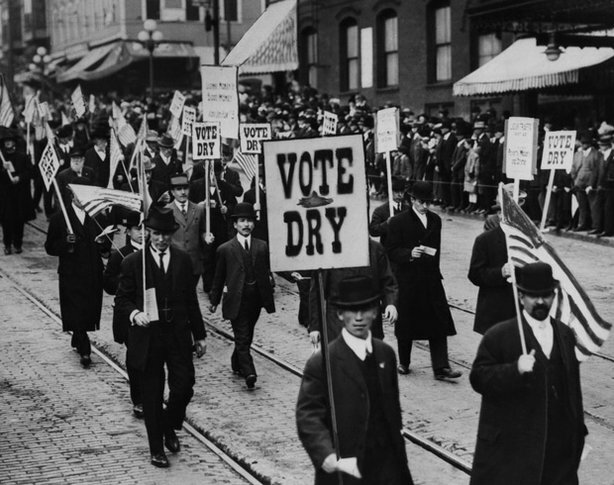 By 1919, Canada was dry in all provinces. Mr. George says, "NO BOOZE FOR YOU!" The soft drink Canada Dry was introduced in 1904. When the Canadian pharmacist John J. McLaughlin originally made this new soft drink, it was far less sweet than other ginger ales also available at that time. As a result, he labelled it "dry". 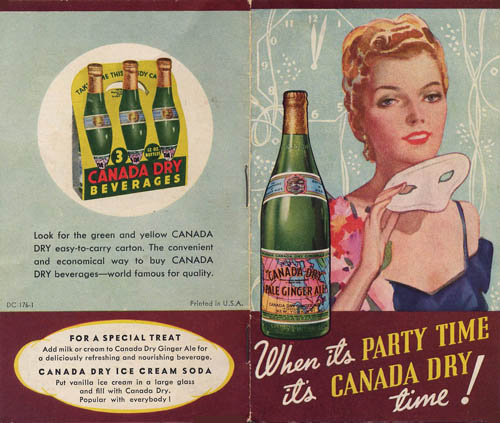 Canada Dry's popularity as a mixer began during Prohibition because its flavor helped mask the strong taste of homemade liquor. practice of hiding flasks of illegal liquor inside boots. 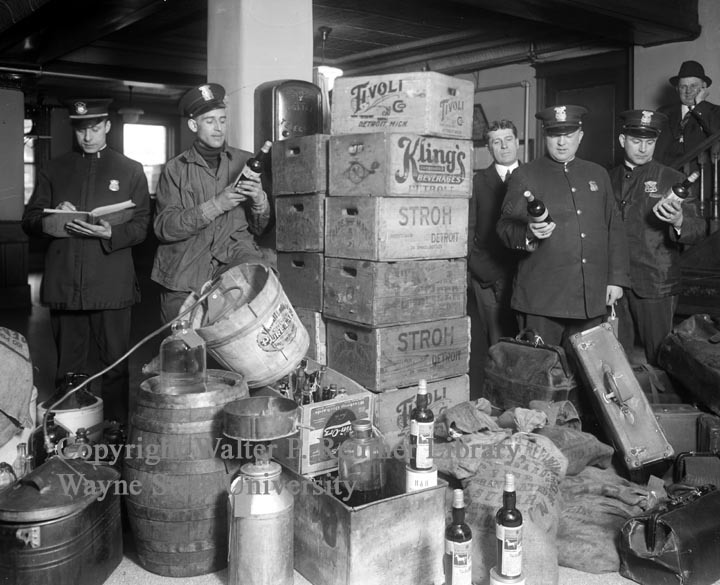 Bootlegging during Prohibition became hugely profitable... and dangerous after the Mafia took control of the trade. 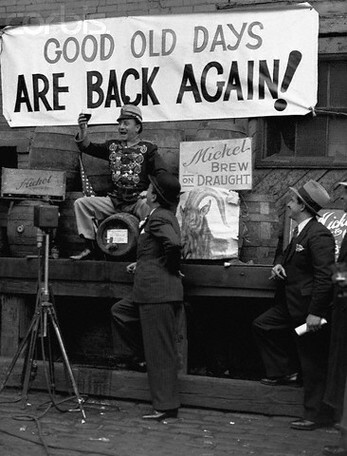 Speakeasies were also popular during Prohibition... for obvious reasons. 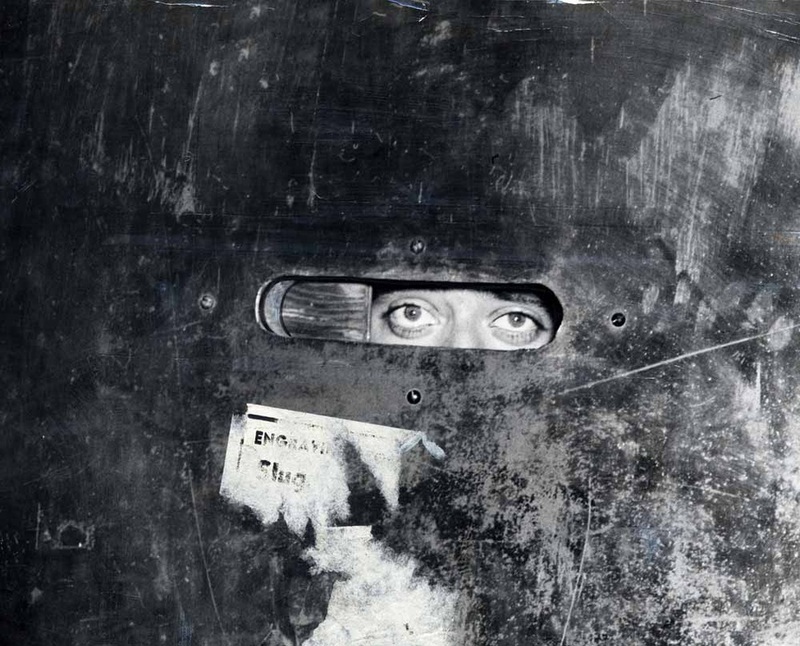 The term "speakeasy" was first used in an 1889 Pennsylvania newspaper article about such illegal establishments that people "spoke quietly about when in public" or when inside, "so as not to alert the police or neighbors." "complimentary" alcoholic beverage, thus tiptoeing around the law. entertainment. In large cities, some speakeasies even required a coat and tie for men, and evening dresses for women. 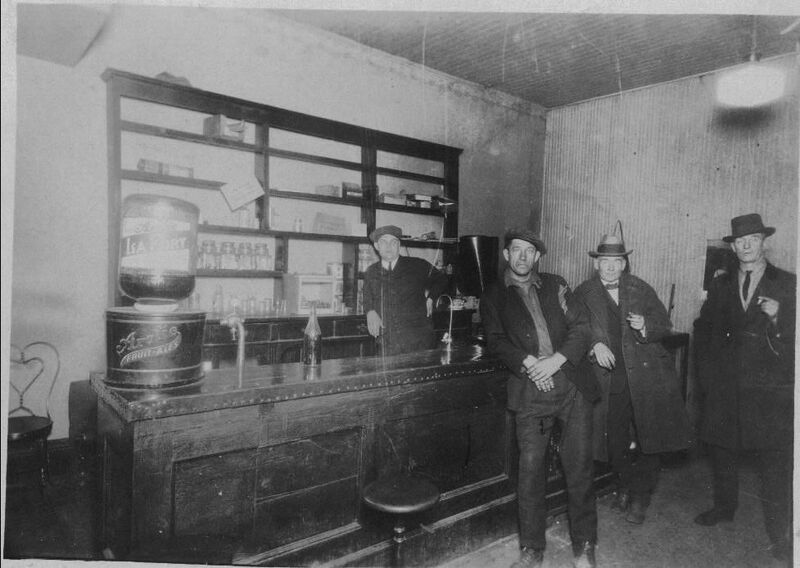 A blind pig was usually a dive where only beer and liquor were offered. Today, the U.S. is the only country with the drinking age set at 21. 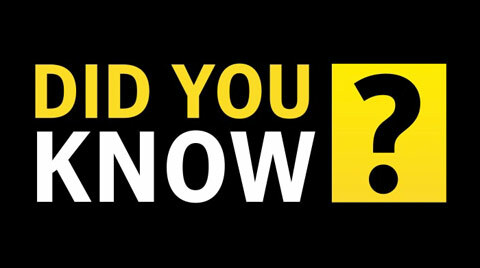 The legal drinking age is 14 in Switzerland; 16 in France, Germany, Italy, and Spain; 18 in Mexico, Israel, Russia, the United Kingdom, and Ireland; 19 in South Korea and Canada; and 20 in Japan.